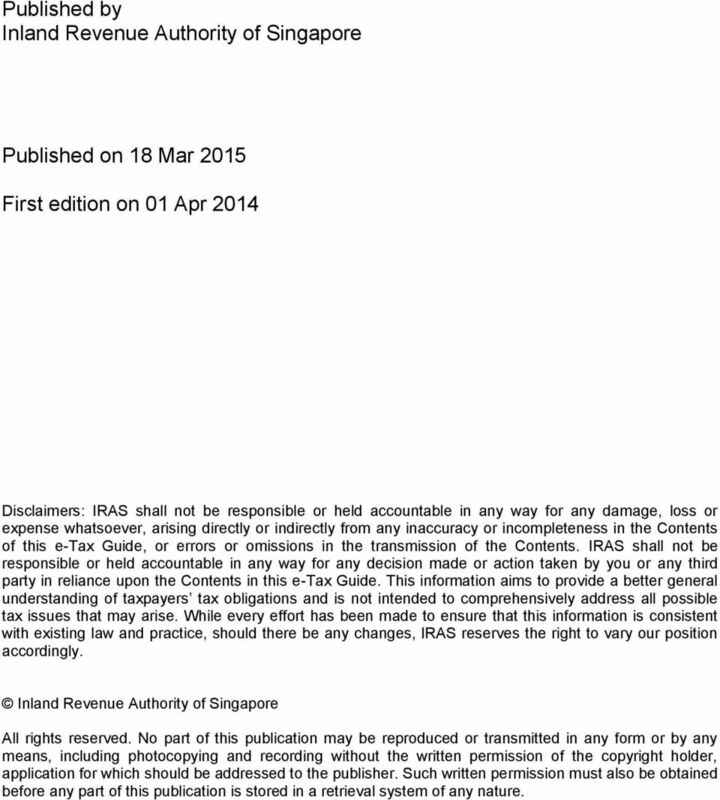 Download "IRAS e-tax Guide. 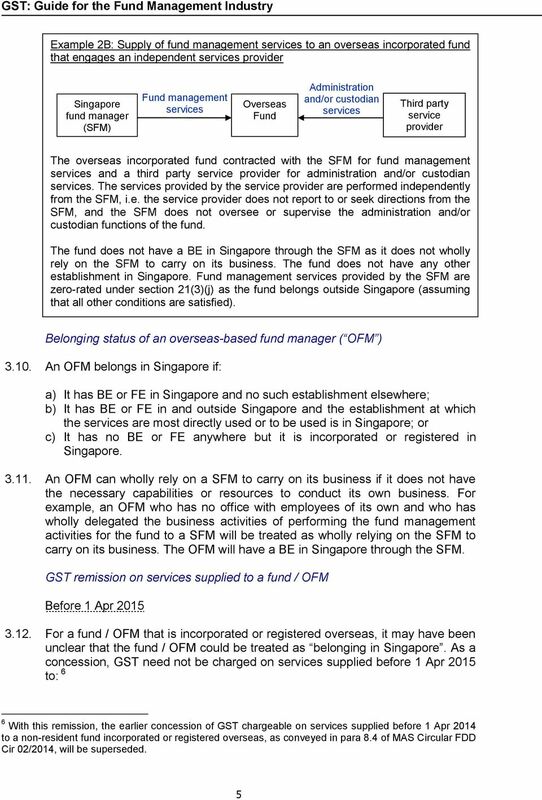 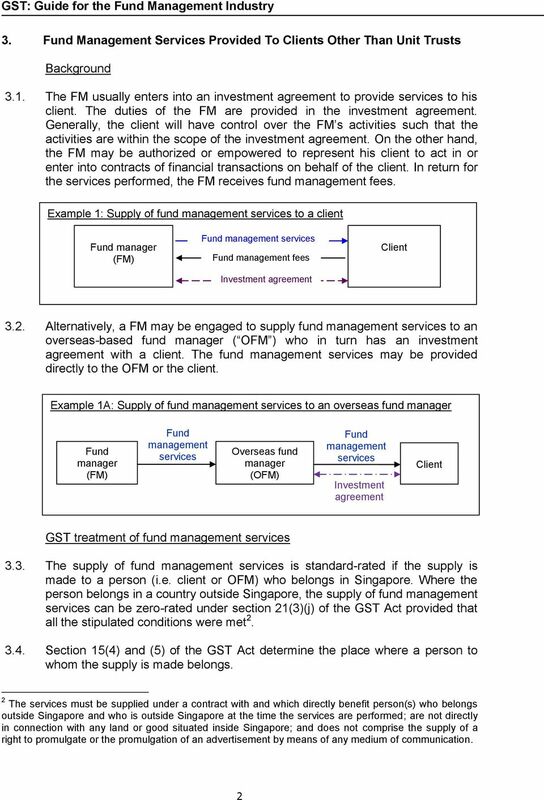 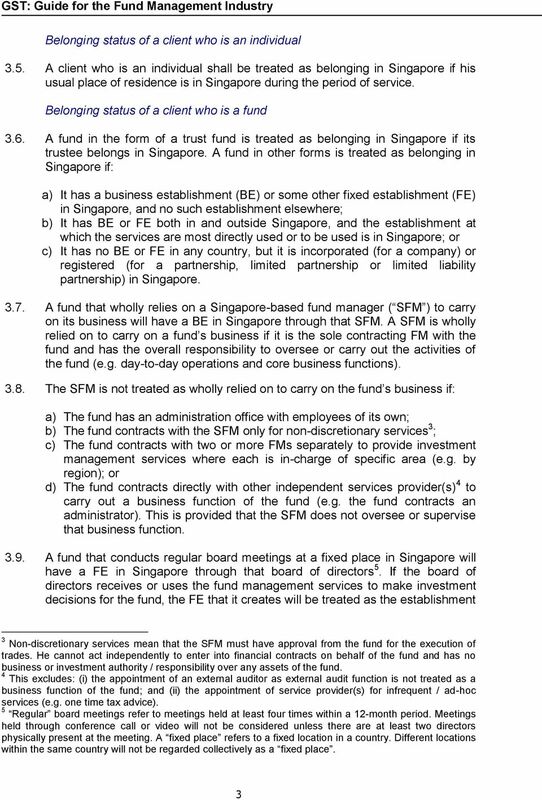 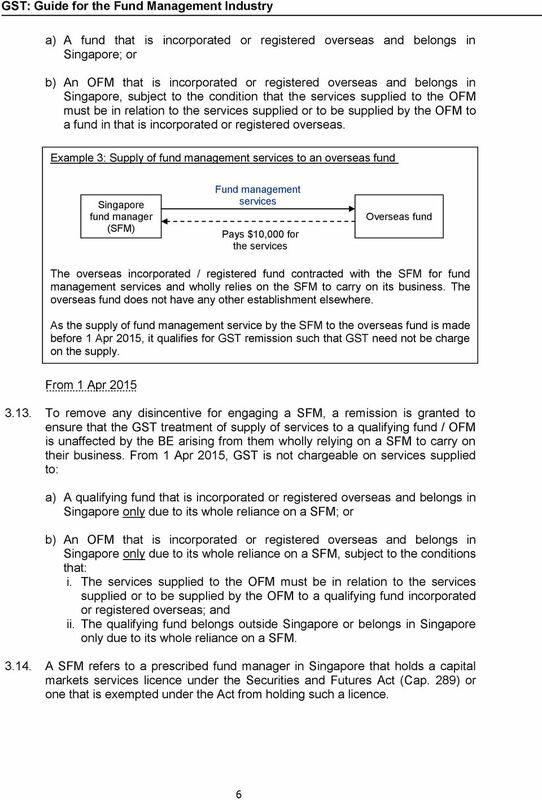 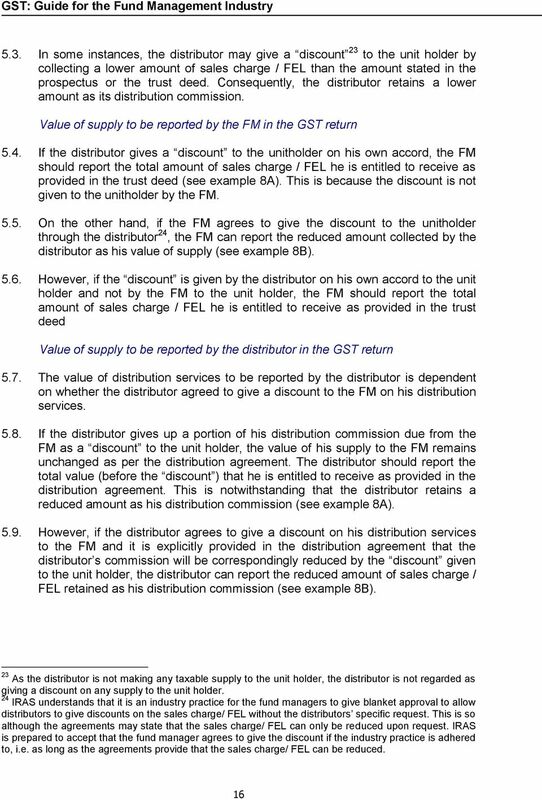 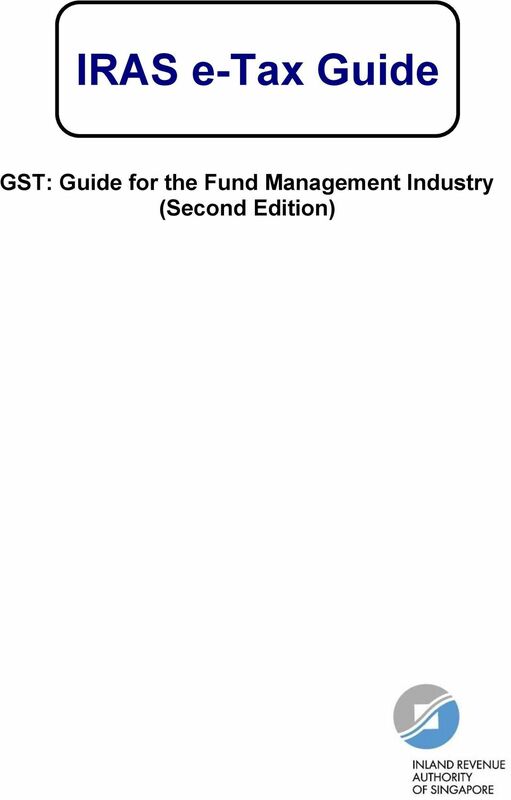 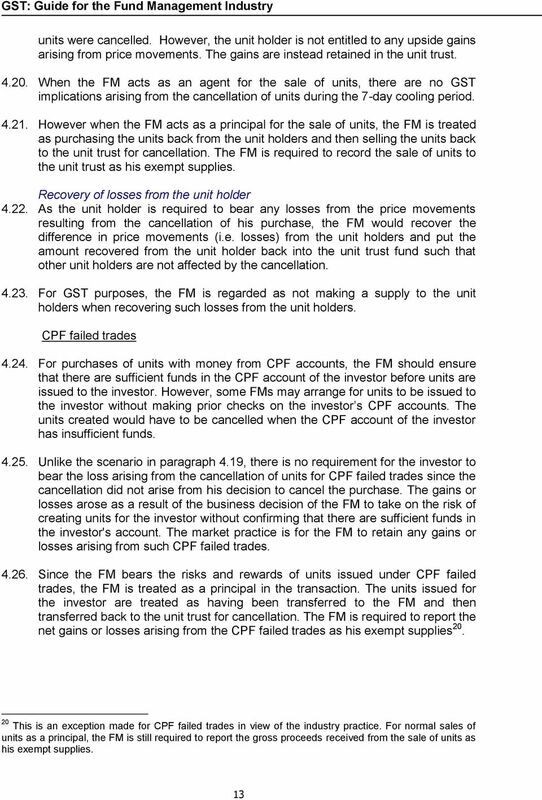 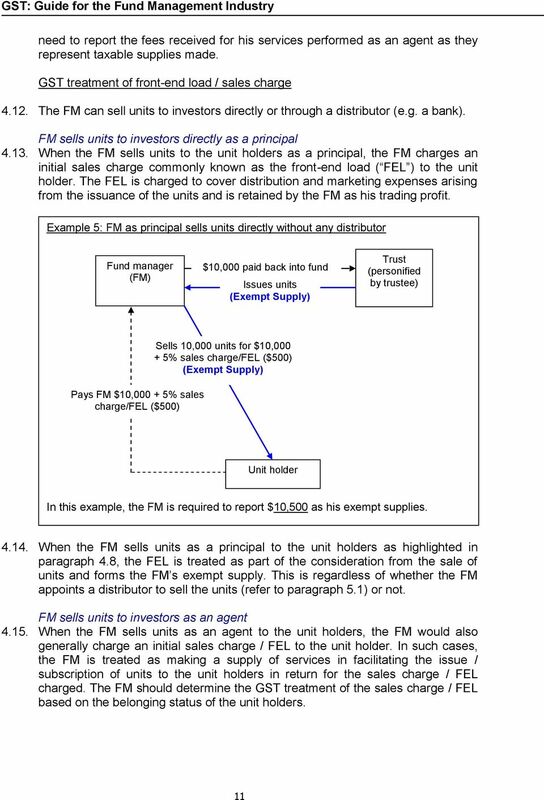 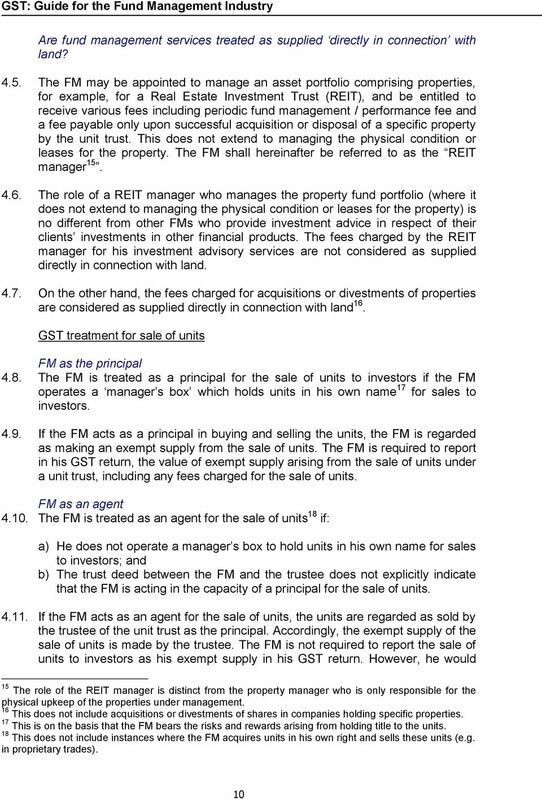 GST: Guide for the Fund Management Industry (Second Edition)"
2 Published by Inland Revenue Authority of Singapore Published on 18 Mar 2015 First edition on 01 Apr 2014 Disclaimers: IRAS shall not be responsible or held accountable in any way for any damage, loss or expense whatsoever, arising directly or indirectly from any inaccuracy or incompleteness in the Contents of this e-tax Guide, or errors or omissions in the transmission of the Contents. 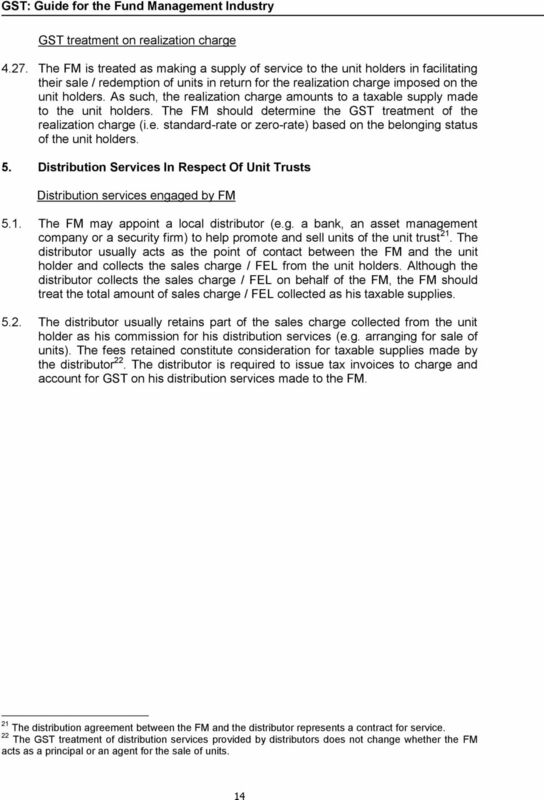 IRAS shall not be responsible or held accountable in any way for any decision made or action taken by you or any third party in reliance upon the Contents in this e-tax Guide. 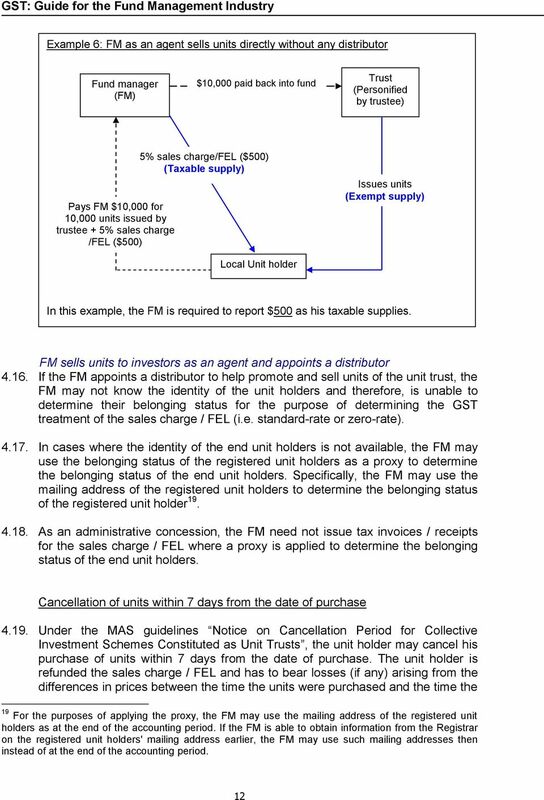 This information aims to provide a better general understanding of taxpayers tax obligations and is not intended to comprehensively address all possible tax issues that may arise. 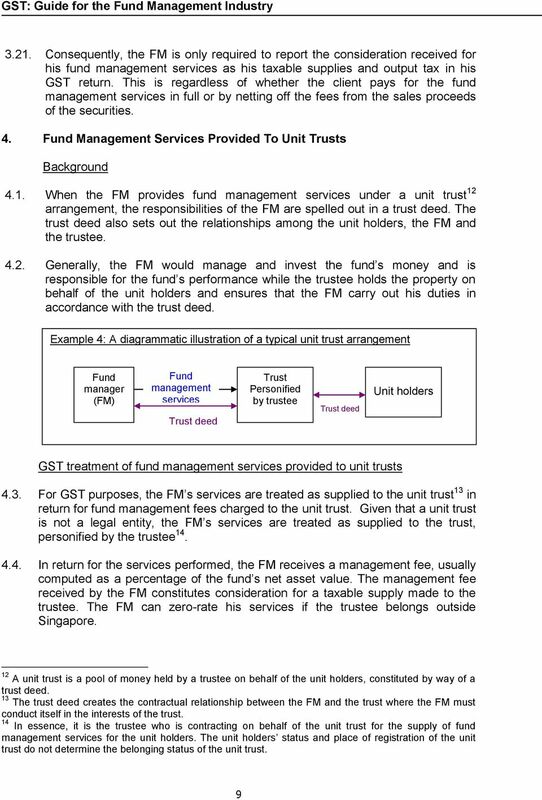 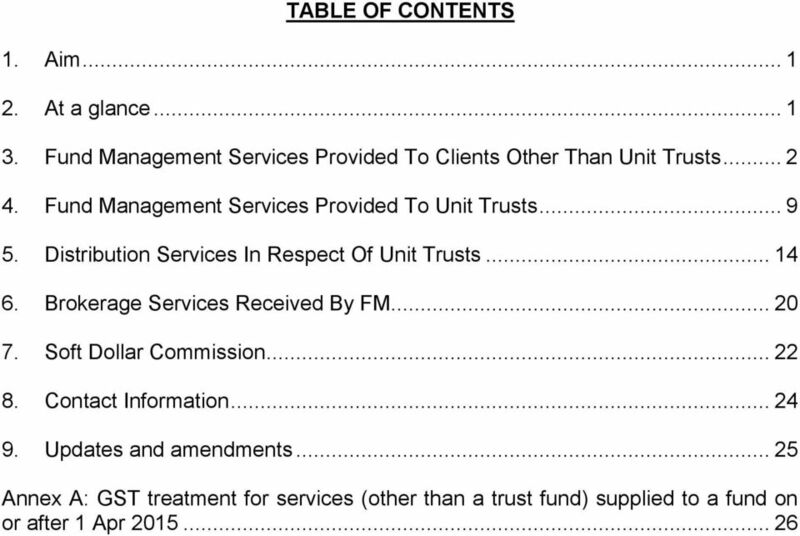 While every effort has been made to ensure that this information is consistent with existing law and practice, should there be any changes, IRAS reserves the right to vary our position accordingly. 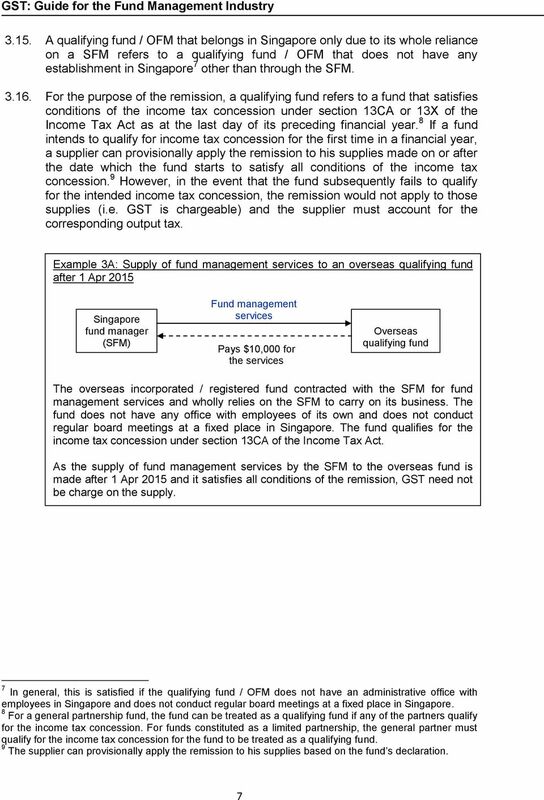 Inland Revenue Authority of Singapore All rights reserved. 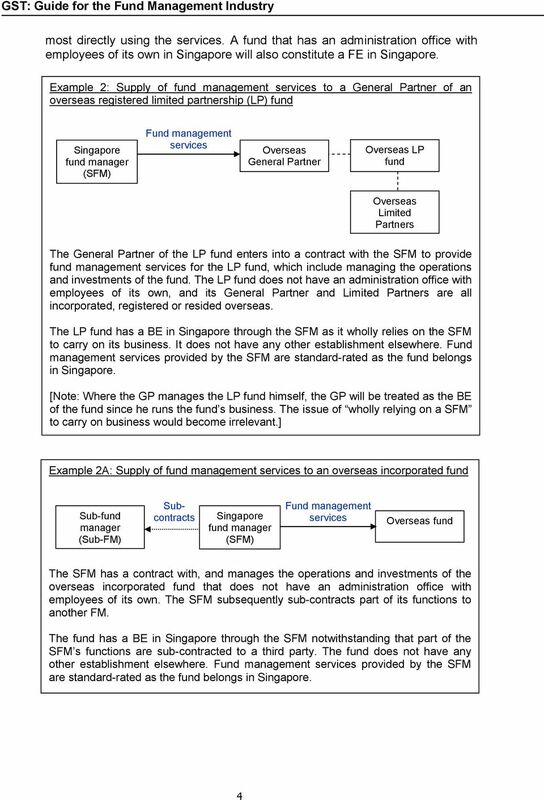 No part of this publication may be reproduced or transmitted in any form or by any means, including photocopying and recording without the written permission of the copyright holder, application for which should be addressed to the publisher. 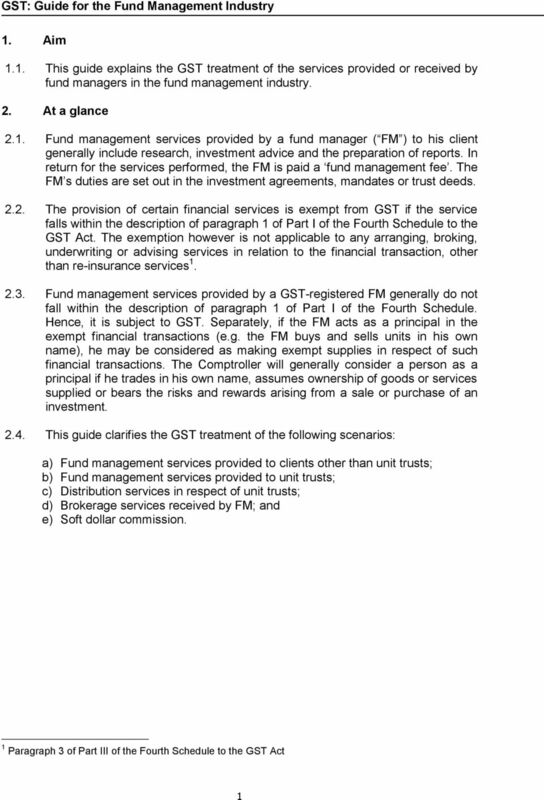 Such written permission must also be obtained before any part of this publication is stored in a retrieval system of any nature. 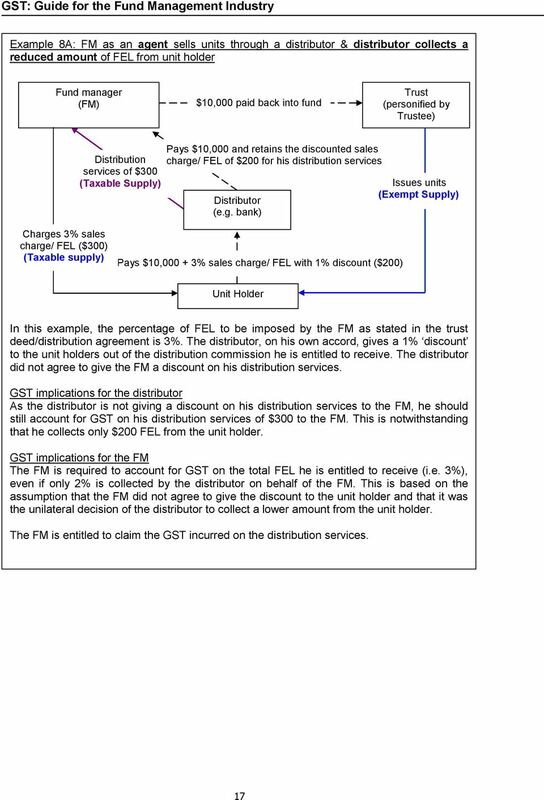 IRAS e-tax Guide GST: Guide on Reimbursement and Disbursement of Expenses Published by Inland Revenue Authority of Singapore Published on 31 May 2013 Inland Revenue Authority of Singapore All rights reserved. 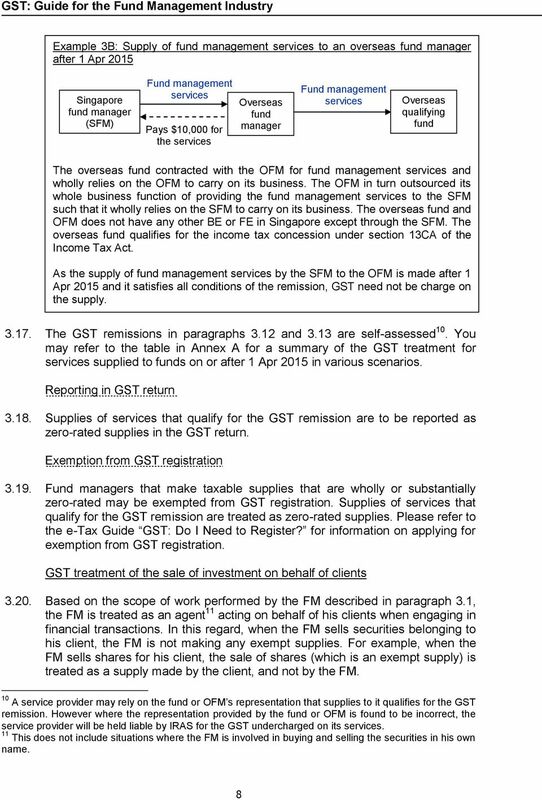 VAT and Professional Services March 11, 2014 Sandra Skuszka Head of VAT services KPMG LLC Isle of Man Agenda Brief overview of how VAT works. 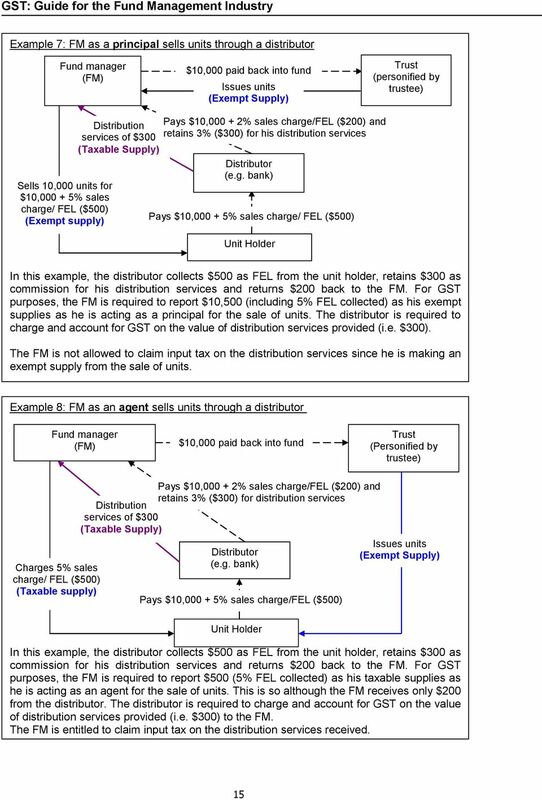 What is the difference between zero rated and exempt supplies?